Park Place condos are located at 700 W Harbor in San Diego. If you are looking for a condo in the downtown Marina District of San Diego then Park Place maybe the place for you. Park Place condos were built by Bosa and built in one of the most prime locations in the Marina District. Park Place features 30 floors with 178 units with homeowners association dues run $795.00 a month. 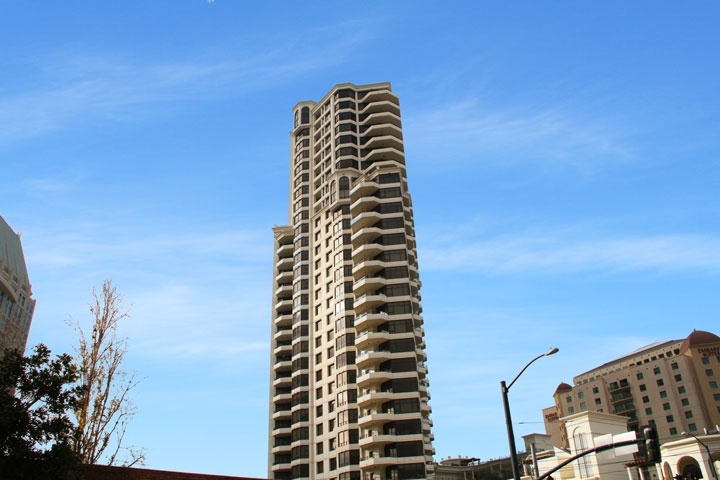 Below are the current Park Place downtown San Diego condos for sale. If you are looking for a downtown San Diego condo for rent please visit our San Diego rentals page. We also provide all sold Park Place condo sales at our San Diego Sold Search. We are the Downtown San Diego Real Estate experts. All Park Place condos for sale are also listed below. Questions? Let our team of San Diego Realtor Associates help you. Please contact us at 1-888-990-7111 today!